No, not Eminem. 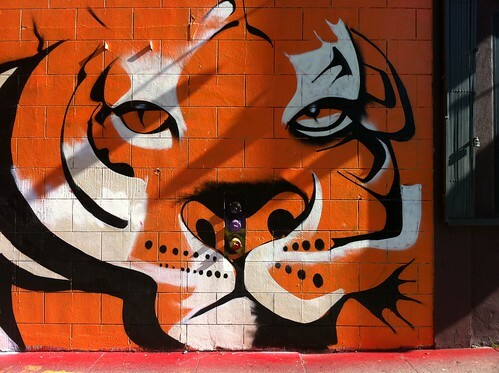 Pica Pica’s tiger! 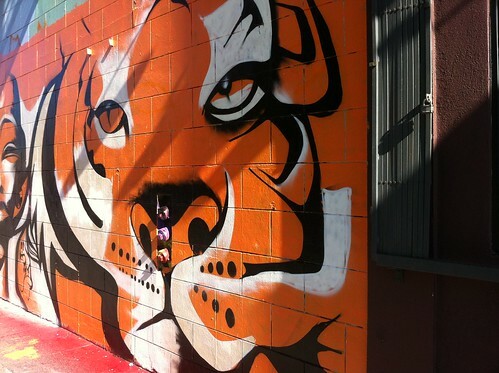 Yes, a new mural featuring a big orange tiger has shown up on the side of Pica Pica sometime over the weekend. Next Entry: Escalator temporarily stairs at Church St.
Next Entry Escalator temporarily stairs at Church St.